There’s more encouraging news about dementia rates, which a new study has found fell 24 percent between 2000 and 2012, decreasing among Americans 65 and older from 11.6 percent to 8.8 percent. The experts aren’t sure why the rates declined. But it means that 1.5 million or so seniors will be spared the severe cognitive declines that would have been expected from earlier rates of the tragic disease. Researchers, who published their latest findings in the peer reviewed and respected Journal of the American Medical Association, said that greater educational attainment and improved heart health may have led to the decreases in the prevalence of the condition associated with loss of memory or other mental abilities so severe it interferes with daily life. 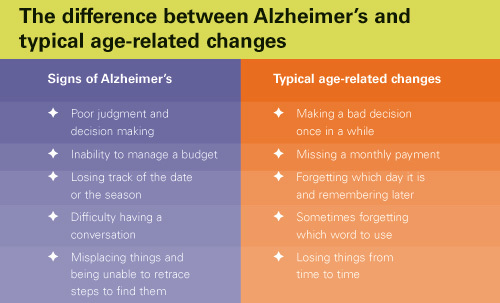 Alzheimer’s disease is most commonly linked to dementia. Vascular dementia is the second most common type of dementia and occurs after a stroke. The new study, funded by the National Institutes of Health and on Aging (NIH and NIA), produced continuing surprises as experts have projected an explosion in cases among Americans, who are increasingly gray, obese, and diabetic—factors that significantly increase dementia risks. In fact, the study showed the condition’s onset occurred later, at an average age of 82.7 in 2012 versus 80.7 in 2000. Subjects who were heavy but not obese appeared to get some dementia protection, particularly if they were under care for heart disease and diabetes. Those conditions that continue to rise for Americans, but, also, in many cases, are subject to better treatment. Despite the glimmers of optimism generated by this and other similar, recent research (which I’ve written about), dementia remains a giant concern: As many as 5 million Americans already are afflicted with dementia. That number is expected to triple by 2050, as people live longer and the elderly population increases. The number of 65-plus Americans is expected to nearly double by 2050, reaching 84 million, the U.S. Census projects. So even if the percentage of seniors who develop dementia is smaller than estimated, the total number of Americans suffering from the condition will continue to soar. The costs for dealing with seniors with the condition has been estimated to be between $159 billion and $215 billion in 2010, increasing to as much as $511 billion by 2040, and it will create a health crisis because dementia so often demands intensive, draining caregiving. The NIA-NIH study had its limitations, though it did include 21,000 Americans 65 and older across all races, education and income levels. They all were participants in the University of Michigan’s Health and Retirement Study, which regularly surveys people and follows them as they age. They also had higher levels of education, which may have led them to be wealthier, to receive better medical care, and to have more cognitive reserves. The failure of the drug, solanezumab, underscores the difficulty of treating people who show even mild dementia, and supports the idea that by that time, the damage in their brains may already be too extensive. And because the drug attacked the amyloid plaques that are the hallmark of Alzheimer’s, the trial results renew questions about a leading theory of the disease, which contends that it is largely caused by amyloid buildup. No drug so far has been able to demonstrate that removing or preventing the accumulation of amyloid translates into a result that matters for patients: stalling or blocking some of the symptoms of dementia. What’s the key takeaway here? Americans in overpowering fashion say they want to age at home, preserving their health, minds, and independence as much as possible, and avoiding the sad, potential harms that can happen to them in institutional care. 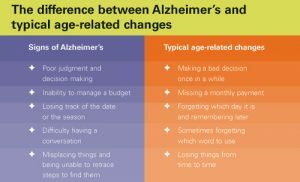 Although some cognitive decline may be an inevitable accompaniment of age, I’ve written on how seniors can take steps to protect their brain health and their overall well-being. We all benefit by: exercising; eating healthy, especially avoiding excess sugar and fat; not smoking; and staying mentally engaged and part of supportive communities. Here’s hoping.